This is an refresher ACLS AND BLS class for RMC staff and local First Responders. Thank you for signing up for the ACLS/BLS refresher class at the EMTI at Crown College. We are looking forward to having you out and to offering you a fantastic day of training. Below you’ll find our intro letter to the class with a link to the pretest and other pertinent information. We will be meeting at Crown College in Classroom W 243 on Tuesday, Feb 12, 2019 from 8:30 am to 3:00 p.m. Mandatory Precourse Self-Assessment: Before attending the ACLS Course, students must complete the mandatory precourse self-assessment located on the ACLS Student Website. They must achieve a score of 70% or higher, and they have unlimited chances to pass the precourse selfassessment. Students must print their completion certificate and bring it to their ACLS class. Agenda for the day includes reviewing the principles of ECG monitoring, reviewing videos from the American Heart Association on Advanced Cardiac Life Support. To complete the requirements for certification, there will be a written test (70% pass rate required-open book) and a demonstration of competency through simulation. After ACLS is complete we will include an opportunity for you to refresh your BLS as well. 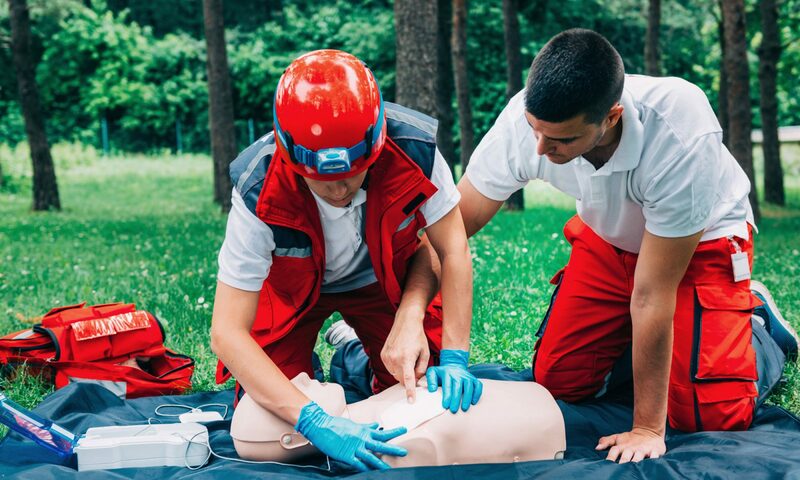 Through demonstrating high quality CPR and respiratory interventions as individuals and within a team in a simulated environment, you will fulfill the requirements for renewing your BLS card. This continuing education activity is approved by the American Heart Association, an organization accredited by the Commission on Accreditation of Pre-Hospital Continuing Education (CAPCE), for 4.75 Advanced CEHs, activity number 16-AMHA-F2-0310. Please contact Jeremy Baker at 952-446-4171 with any further questions. This is the home page of the Emergency Medical Training Institute (EMTI) operated by Crown College in Minnesota.